Canadian rapper/pop artiste Drake has announced Sunday morning that come 2019 Popcaan will be signed to OVO Sound (October’s Very Own) record label. Drake, whose given name Aubrey Graham, made the announcement during his performance at the inaugural staging of Unruly Fest: Popcaan & Friends in Concert in Popcaan’s hometown, Lyssons Park, St Thomas. 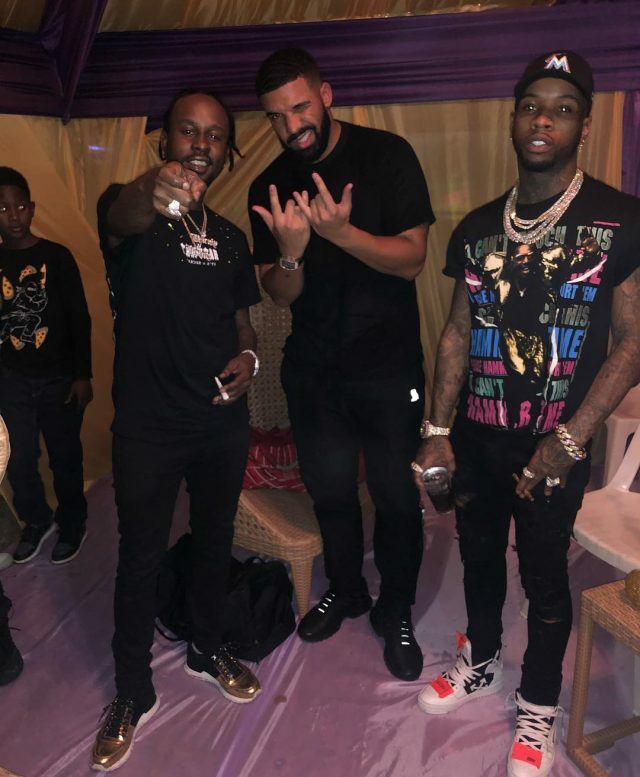 Drake was followed in by Canadian rapper Tory Lanez who both arrived in Jamaica on Friday via private jet for the Unruly Fest. Among the lineup for Unruly Fest included Popcaan, Tanya Stephens, Cocoa Tea, Bounty Killer, Dexta Daps, Agent Sasco, Dre Island, Jah Vinci, Jah Frass, Bushman, Iba Mahr and I-Wayne. OVO Sound is a Toronto-based Canadian record label founded by hip hop artist Drake, Oliver El-Khatib, and long-time producer Noah “40” Shebib in 2012. It operates as a subsidiary of, and is distributed through, Warner Music Group’s Warner Bros.
Popcaan will join OVO’s produces and artistes including Drake, PARTYNEXTDOOR, Majid Jordan, OB O’Brien, Roy Woods, and hometown, as well as in-house producers 40, Boi-1da, T-Minus, Mike Zombie, Nineteen85 and Future the Prince.